This chapter unpacks the experience of the Italian region Umbria in facing seismic risk, according to the notion of resilience. 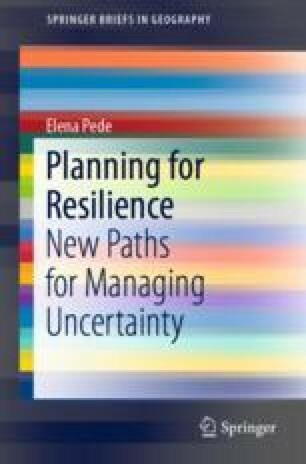 This provides how resilience has been variously imagined, shaped and transformed in terms of discourses, values and actions in a practical experience. Umbria is one of the most seismic areas in the centre of the country. After the 1997 earthquake, the authorities started a long-term process, firstly, of re-thinking the response activities of civil protection, and, subsequently, of how the territory relates to a natural hazard in term of capacities of resilience. The reshape started with an organisational innovation aimed at improving the acquisition and transfer of knowledge. Over the years, it has caused the growth of social interaction of involved actors and has led to the reorganisation of governance structures and institutions accordingly to make them more responsive and relevant in the PPRR chain. The results are not limited to civil protection and the response phase, but also affect other sectors, in particular spatial planning. Finally, the call for resilience has also involved the community that, on one hand, wants to be more informed and, on the other, has become part of the response system.